In our previous blog, we shared a mock up PSD for iPad Pro 2018 and we have to share something for the wide screen LCD & MacBook Pro too. 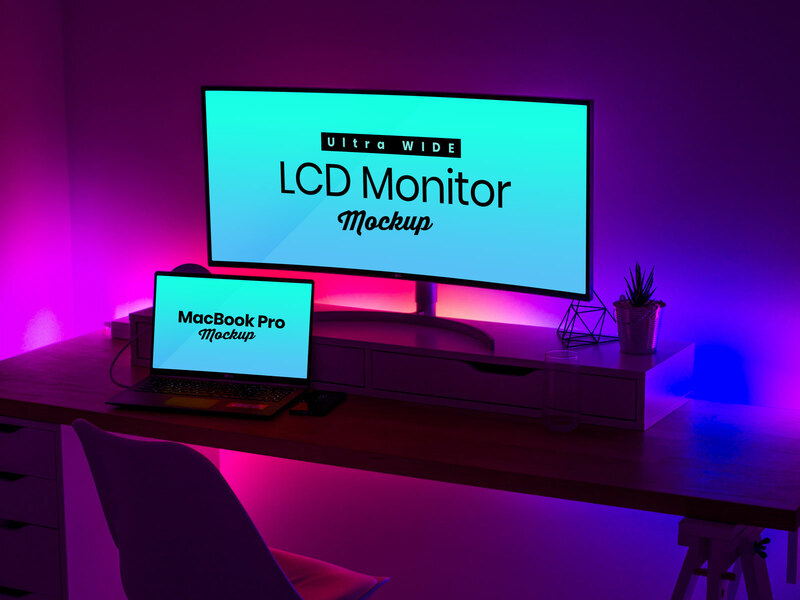 And that’s why we are here with our new blog with which you will be able to download a free mockup PSD file if you are working on apps and designs for the MacBook Pro. Whether you have to design a website for the MacBook version or an online store, this mock-up will help you showcase as many designs as you want to. Not just that, you can also use the mock up file to display any sorts of MacBook version games. With the editable layers, you won’t find it difficult to edit the file as per the requirements of your projects. Before you start working on your latest work task, we would like to share some important pointers with you. By keeping in mind these pointers, you will be able to design a mock-up which will lead to one of the best designs of almost anything. It is very important to know and read the gap, if there is any. Your team should only work on an idea that can cater to the needs of the users. Once the gap is found, find the suitable audience. And once that is done, make sure you know the audience before you launch the app etc. Designing and evaluating the work flow is a crucial part but is also important. Your work flow can determine if you investing efforts and creativity is worth it or not. Then decided the theme and colors of the design. Your best bet is to read about ‘Color Psychology’ and finalize the color scheme etc. Once the layout, thematic and mockup boxes are all checked out carefully, have a prototype designed as well to see how the app etc. will perform. By creating mockups, you can actually save a lot of time and money before the web designs / apps / games are given a ‘life’. We hope that you’ll find this blog helpful to carry out your design tasks.